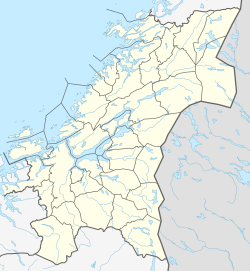 Hoklingen is a lake in the municipality of Levanger in Trøndelag county, Norway. 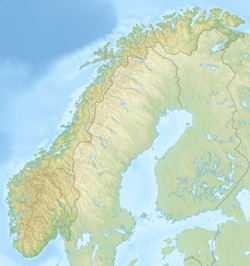 The 6.1-square-kilometre (2.4 sq mi) lake lies just to the east of the village of Åsen and about 6 kilometres (3.7 mi) south of the village of Skogn. The lake Movatnet is the main inflow of water into Hoklingen. There is a small dam that regulates the outflow of water at the southwest end of the lake. The water flows out into the river Fossingelva which then flows into the nearby lake Hammervatnet. ^ "Hoklingen, Levanger (Trøndelag)" (in Norwegian). yr.no. Retrieved 2011-05-24.